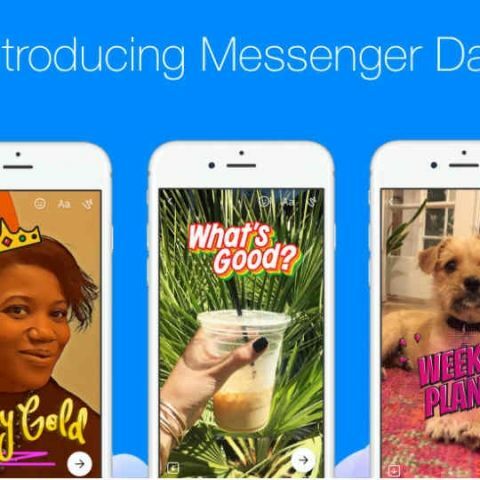 Facebook has announced that it has started rolling out its Messenger Day feature globally. It was initially being tested with some users, and works in a manner similar to Snapchat’s Stories. The new feature lets users post photos and videos on Messenger, and share them with friends or groups, or add it to their day. These images and videos will be visible for 24 hours, after which they will disappear. Users can also add frames and effects to their pictures, alongside adding text and doodles. They will also be able to add to their day from a conversation, by clicking on the ‘add to day’ option seen when sending photos or videos. When users are messaging someone, they will be able to see if the other person has put up something new. The addition of Messenger Day comes after the company launched similar, Snapchat-like features on Instagram and WhatsApp. On Instagram, the feature is called Stories, while on WhatsApp, the feature was added as an update to its Status feature.